A Turkish court has sentenced pro-Kurdish Peoples’ Democratic Party (HDP) deputy Burcu Çelik Özkan to prison for alleged terrorism propaganda, according to a report by the pro-Kurdish Mesopotamia news agency. Özkan was sentenced to seven years, three months and 10 days on charges of disseminating propaganda for the outlawed Kurdistan Workers’ Party (PKK). She had previously been given six years for the same offense by a lower court, but the sentence was dropped and the case retried on appeal. Prosecutors also said Özkan attended the funerals of PKK militants Berjin Demirkaya and Özgür Akınel and gave a eulogy at the funeral that constituted terrorist propaganda, charges she denied. “There is no concrete evidence that I attended the funeral,” Özkan said. She also gave a different account of her actions in 2015 to that of the prosecution, saying that she had been opposing the presence of security forces at the ballot box intended to intimidate voters. “On July 7, 2015 I went to the towns of Sungu and Karaağaç with other candidate colleagues to see electoral and ballot box security in the field. 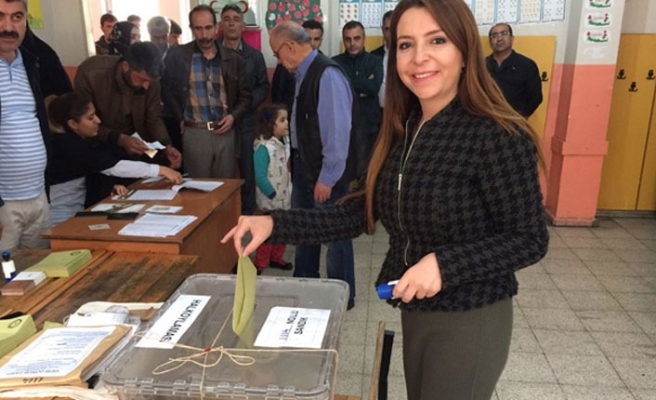 There were security guards waiting at the ballot boxes with Kalashnikovs in Karaağaç,” Özkan said.